It’s still relatively recent and active news that Robin Williams passed. It was such a shocker that I, like the rest of you, felt an inescapable urge to honor him by watching his films. I won’t go on a strict Robin Williams diet, but here and there, I’ll check out the films that meant the most to you and me. 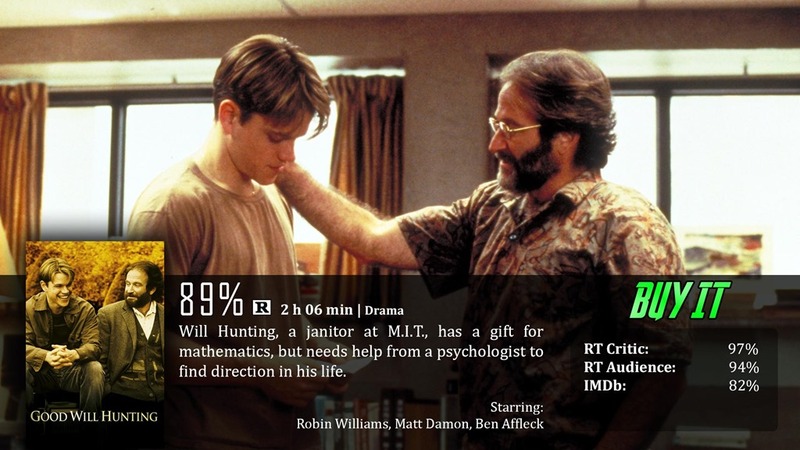 The two movies that really shout Robin Williams in terms of what people consider his best roles, are often somewhere in-between Good Will Hunting and Dead Poets Society. I know this is horrible, but I can’t really remember either of these films very well, and I’m not even sure I’ve seen the latter. So these two films I will focus on first, the first being Good Will Hunting. I’ll admit it was done very well, but there are other Williams films that I prefer. The story revolves around, surprise surprise, Will Hunting (Matt Damon). Will isn’t a bad kid, but he has had a pretty unfortunate upbringing in the system. He has truly devoted friends that love him, but they are seen more or less as scumbags with no futures – and because he is always with them, he has the same future…which is a waste, because he is a genius. He’s throwing his life away without really realizing it. So when a teacher at MIT notices him, he busts him out of jail on a probationary period – to do math problems with him, and to hand him his full potential…there’s only one catch – he must participate in therapy with an off-beat therapist named Sean. This is a very honest, in-depth look of how messed up kids are that go through the system, but it goes about it in a different way that you wouldn’t normally expect. This is about broken trust and hidden feelings, and most importantly – about the slow buildup of self-loathment through life – and settling for second best because you’re around something you consider safe…because it’s the only safety you’ve ever known. In all honesty, it’s a very strong and powerful portrayal of things real people go through that are unnoticed constantly. You won’t hear any complaints from me in that regard, but you will hear one complaint – that it was predictable. It follows a very basic routine. While it has a fresh way of going about things, the heart of the thing is still pretty predictable, and so I didn’t feel like I was as surprised as I really should have been about how things would turn out. The acting was out of this world, but as I sat watching…nothing threw me for a loop. It was very matter-of-fact and that actually disappointed me…but I also understand I’m probably in the minority in that regard, so I won’t let that affect much of my score. It’s still a very well-done movie. I think the biggest strengths of the movie relied on the messages and various forms of human nature in general, which is all fine and dandy – they did a great job, but without that plot having any unpredictability involved, I’m forced to be a little set back. As powerful as the performances really were, I wasn’t personally connected with the characters, nor felt the emotional scene’s worth. I know that’s probably just me, so it is what it is. Without a doubt, this is more a character-oriented film than anything else. The issues it delves into about abandonment, trust, friendship, and how to free yourself from a mental prison are all dealt with incredibly well, and Robin Williams is such a fantastic actor that any real problems the movie faces, it doesn’t really matter. I still require the movie to have a little more oomph. It was powerful, it was, but it was also predictable and very matter-of-fact. 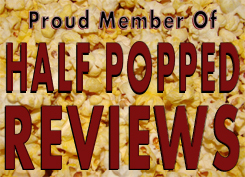 I don’t want to bash it for anything, as it was done well, but I expected more and felt let down. Truth be told, I actually thought this was the movie with the “oh captain, my captain” thing. I completely forgot about Dead Poets Society, and had pictured Matt Damon saying it. Still a great movie, even if people in this movie don’t really speak how they would in real life. Only on certain occasions though. Good review Dave.